RidgeGate neighborhoods include a diverse blend of dwellings, from compact urban apartments and row homes, to eco-smart single family homes. Tucked away in a private valley, The Retreat at RidgeGate offers luxury homes close to modern day conveniences. These spacious high-end homes offer 2 to 7 bedrooms, 2,854 to 6,288 square feet of finished living space, and contemporary curb appeal. 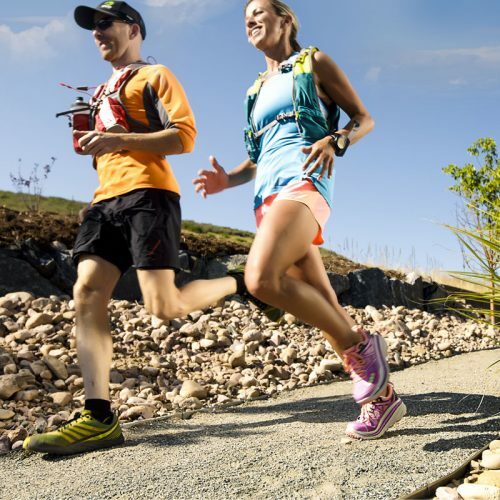 Residents will enjoy cultural events at the renowned Lone Tree Arts Center, high-end shopping and dining options, parks, open spaces, and miles of trails connecting directly to the community. Quick access to I-25 will keep you connected to the world with a 10 minute commute to the Denver Tech Center or just 30 minutes to Downtown Denver. IMT presents a new apartment complex located in RidgeGate, at the southwest corner of Chatham Dr. and Trainstation Circle in Lone Tree, CO. This four-story, mid-rise apartment community consists of 219 multifamily apartment homes and sits on 3.18 acres of land. The property is situated in the Sky Ridge Station transit-oriented development subarea, which is bound by I-25, Lincoln Avenue, Park Meadows Boulevard and Sky Ridge Avenue. Just east of the new Charles Schwab Campus, north of Sky Ridge Medical Center, and immediately west of the RTD Sky Ridge light rail station, IMT At RidgeGate is a commuter’s dream! IMT at RidgeGate is leasing now. AMLI RidgeGate, located at the corner of Lincoln Avenue and I-25, offers easy access to the Lincoln Light Rail station and is within walking distance to the Sky Ridge light rail station. The transportation-connected community offers modern studio, one, two and three-bedroom apartments. Twenty-three unique floor plans in a sleek 'mountain modern' setting provide exceptional choice and the ultimate in luxury living. This 8-acre RidgeGate community features a collection of 93 sophisticated, low-maintenance, triplex luxury attached homes with timeless brick and stucco exteriors. These homes are outfitted with richly appointed cabinetry, marble countertops and stainless steel appliances. Homes are complete and occupied, but may periodically be available in the resale market. This 21-acre RidgeGate community features 75 detached single-family homes with common open space in front of each home and is adjacent to South Denver's Bluffs Regional Park. Homes are complete and occupied, but may periodically be available in the resale market. This 14-acre community includes 33 detached single-family homes and is adjacent to RidgeGate’s permanently-protected bluffs open space preserve and the 250-acre Bluffs Regional Park. These homes range in size from approximately 3,400-4,500 square feet on quarter-acre lots. Homes are complete and occupied, but may periodically be available in south Denver metro's resale market. MorningStar Senior Living at RidgeGate offers resort-style living for seniors to the community, with 224 suites for Independent Living, Assisted Living and Memory Care. Ideally situated at the northeast corner of RidgeGate Parkway and Commons Street, MorningStar offers 124 independent living suites to seniors, with 71 suites for assisted living and 29 secure suites designed specifically for those with Alzheimer’s and other memory impairments. 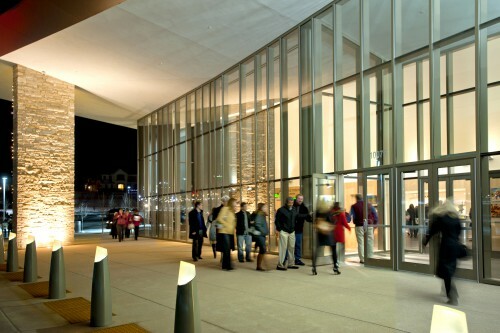 Residents have the advantage of the Lone Tree Arts Center directly across the street, and the new Douglas County library right next door. Thrive Home Builders, Denver’s residential development leader in the design and construction of energy efficient homes, is behind this community of 2- and 3-story rowhomes that are certified 'Zero Energy Ready' by the Department of Energy, and in 2015 won the DOE's Housing Innovation award for their sustainable building measures. This neighborhood of 57 townhomes on 3.45 acres is located just southeast of Commons Street and Sky Ridge Avenue in RidgeGate's Lincoln Commons South district. The neighborhood is just a short walk away from the Lone Tree Arts Center, the Lone Tree Library and all the retail and restaurants at Lincoln Commons. Homes are complete and occupied, but may periodically be available in south Denver metro's resale market. 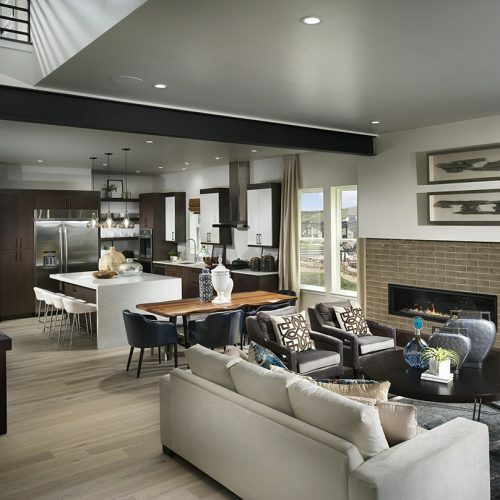 Bellwether Place is a community of 18 sophisticated urban villas built by respected Colorado homebuilders, Berkeley Homes and Harvard Communities. The two homebuilders collaborated on two previous communities in RidgeGate, the award-winning ParkSide at RidgeGate and NorthSky at RidgeGate neighborhoods. 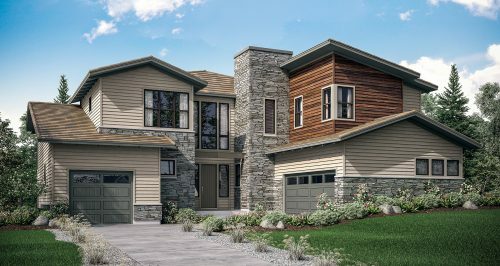 In addition to their practically maintenance-free living, each of the homes offer thoughtful details like open floor plans with oversized kitchen islands, expansive windows to frame the dramatic views (all of the homes back West to the Rocky Mountains), elevators, and thoughtful outdoor living spaces. The community is located adjacent to Promenade Park in the heart of RidgeGate's West Village. Homes are complete and occupied, but may periodically be available in south metro Denver's resale market. The Ovation luxury rental community, located at RidgeGate Parkway and Commonwealth Street in Lone Tree, consists of 190 single floor residential units including 1, 2 and 3 bedroom units ranging in size from 641 SF to 1,426 SF. Apartment amenities include a salt water pool with regulation lap lane, community clubhouse with original art work, business center and outdoor kitchen. Select homes feature private garages, and many have reserved, covered parking. The community also offers a generous outdoor private space for each home. The ground floor of the building features retail space, currently home to Monk & Mongoose Gourmet Coffee, 5280 Nails and Lash, and Colourbar Salon, with more to come. The Belvedere neighborhood of single family attached townhouses is just north of the Lone Tree Recreation Center off of RidgeGate Parkway in the heart of RidgeGate’s West Village. These RidgeGate homes are complete and occupied, but may periodically be available in the resale market. The Marq Apartments are located at the corner of Commonwealth Street and RidgeGate Parkway, with easy access to the Lincoln Light Rail Station connecting you to downtown Denver and more.The community features distinctive one, two, and three bedroom apartments with stunning views. Luxurious amenities include kitchens with stainless steel appliances and pendant lighting, 10-foot ceilings, garden soaking tubs, built-in desks, and walk-in closets. The lifestyle is enriched with an active game lounge, infinity pools, and well-appointed clubhouse. 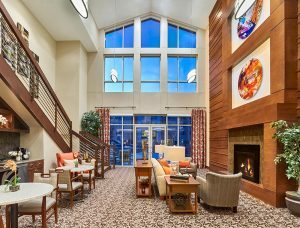 Regency RidgeGate features thoughtfully designed flats and townhomes for rent, exceptional services, a collection of stunning amenities and picturesque mountain and bluff views of Denver's Front Range. Choose from stylish one and two bedroom flats, as well as two and three-bedroom townhomes, all with stainless appliances and designer-selected finishes. Regency RidgeGate includes 208 units on 5.13 acres consisting of six, three-story and three-story plus walk-out level buildings and 21 townhouse units. 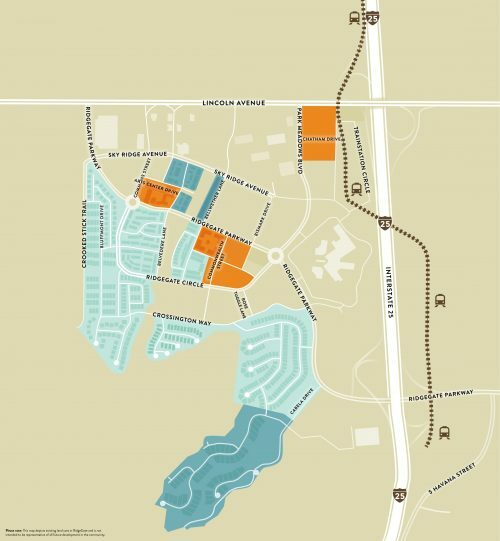 The community is located between Halstead Lane and RidgeGate Circle on either side of Commonwealth Street, just north of the Lone Tree Recreation Center. 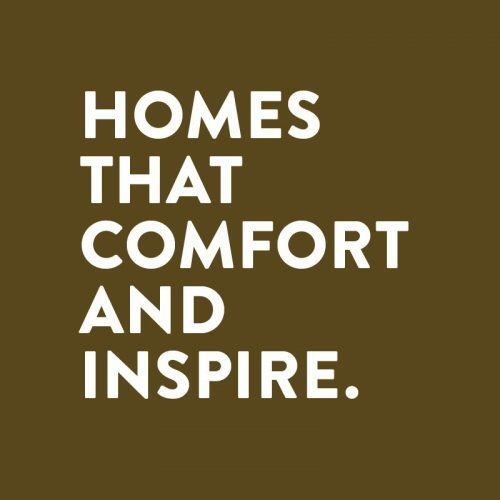 Sustainable living in Lone Tree, ParkSide is a combined effort between Berkeley Homes and Harvard Communities, two of Colorado's most respected homebuilders, both with impeccable track records of success. It's an intimate neighborhood of 31 warm, modern and spacious homes, all with solar panels included as a standard feature, making ParkSide the first all-solar neighborhood in Colorado. Homes are complete and occupied, but may periodically be available in south metro Denver's resale market. NorthSky at RidgeGate was built in a partnership between two trusted Colorado homebuilders, Berkeley Homes and Harvard Communities. This cozy enclave of 33 homes offers a warm, contemporary feel and amazing features and architectural designs, many with walkout basements and stunning mountain views. NorthSky at RidgeGate is nestled adjacent to the open space bluffs of Denver's Front Range on the south end of RidgeGate. Homes are complete and occupied, but may periodically be available in south metro Denver's resale market. Montecito, a community of single-family homes by respected Denver homebuilder Century Communities, includes 142 new Mediterranean-inspired homes with exclusive floorplan designs and stunning exteriors with elegant architectural details. Nestled among 1,000 acres of devoted to parks, trails, natural habitat and open space, Montecito's homes provide a blend of natural serenity and new urbanism. Homes are complete and occupied, but may periodically be available in south metro Denver's resale market. RidgeGate's 9-acre Lincoln Park neighborhood of luxury attached townhomes is located immediately southeast of the Lincoln Commons retail and restaurant district, with immediate proximity to the Lone Tree Arts Center and new Lone Tree Library. Homes are complete and occupied, but may periodically be available in south metro Denver's resale market. 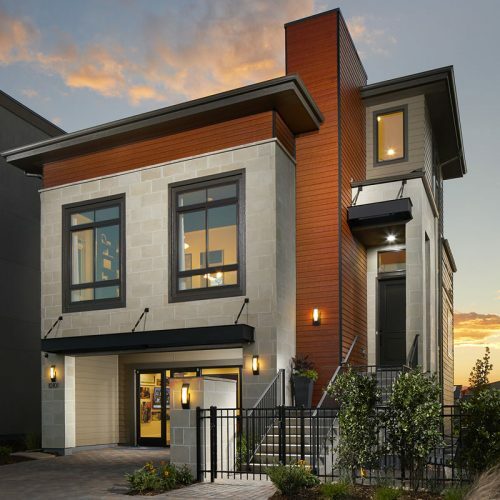 This 4-acre sustainable neighborhood showcases 90 beautiful, two-story urban townhomes, reminiscent of New York’s famous brownstones, and Chicago’s lakefront district. These RidgeGate homes are complete and occupied, but may periodically be available in south metro Denver's resale market. RESIDENTIAL VILLAGES ON THE EAST SIDE. Three diverse residential villages and two mixed-use districts will be created on the east side of I-25 in RidgeGate. 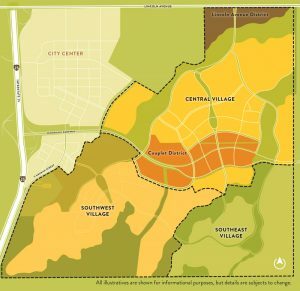 They include Central Village, Southeast Village, and Southwest Village, which will be the first to be developed. All three are within walking distance to the Lincoln Avenue Commercial District and the mixed-use Couplet District which will include civic amenities, retail, and restaurants. It is estimated that 8,000 residential units will be built, including 350 units of attainable housing. The neighborhoods will be accented with parks and plazas for outdoor movies, farmers’ markets and other community events. WELCOMING RESORT-STYLE SENIOR LIVING TO OUR COMMUNITY. 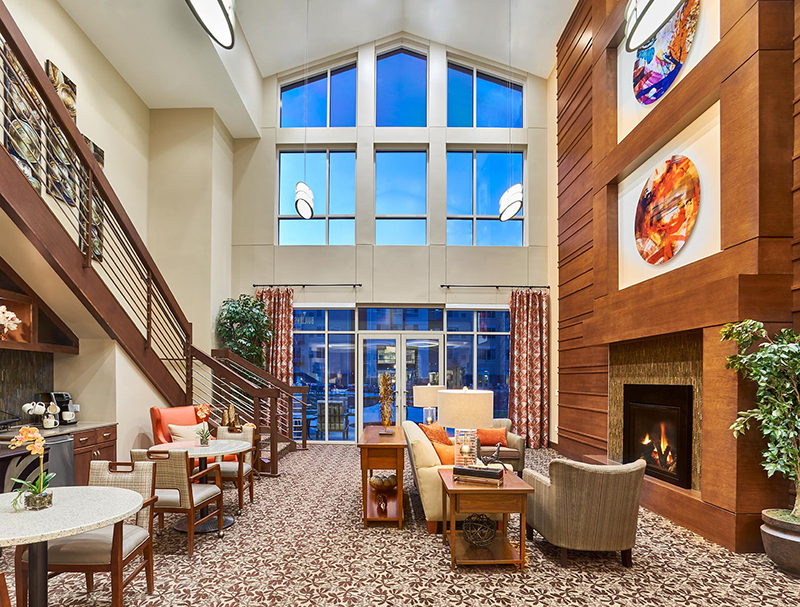 MorningStar Senior Living at RidgeGate opened in January 2017 as the first senior residential community in Lone Tree focused on the needs of older adults living on the Front Range. Senior living at RidgeGate’s MorningStar consists of a premier resort-style continuing care community of exceptional quality, designed to promote wellness for active, independent seniors, as well as extend care to residents who, as they age, may need assistance with the activities of daily living. Ideally situated at the northeast corner of RidgeGate Parkway and Commons Street, MorningStar’s senior living community offers 124 independent living suites, with 71 suites for assisted living and 29 secure suites designed specifically for those with Alzheimer’s and other memory impairments. 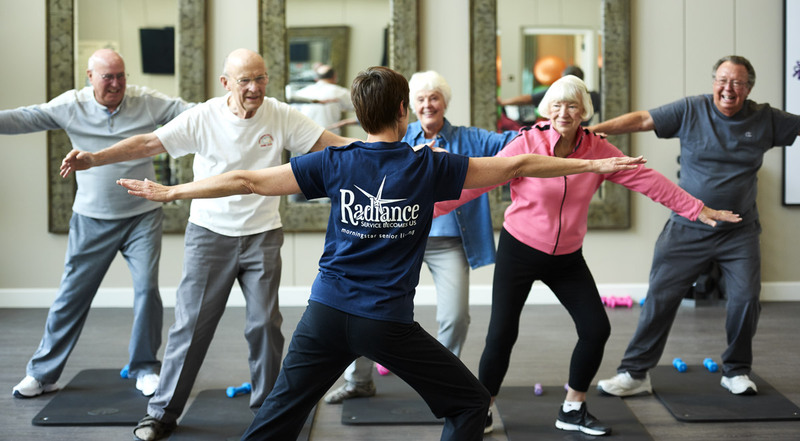 Senior residents have the advantage of the Lone Tree Arts Center directly across the street, the new Lone Tree library right next door, Sprouts Farmers Market in their back yard, and easy access to many other retail and restaurant amenities.